A great website is just about your most important marketing tool. Whatever marketing activities you are using, at some point most of your clients and contacts will visit – and will judge you on – your website. It’s your online brochure, it’s the place to showcase your skills and it’s the key tool around which much of your marketing will be based. So why do so many of us get it wrong? 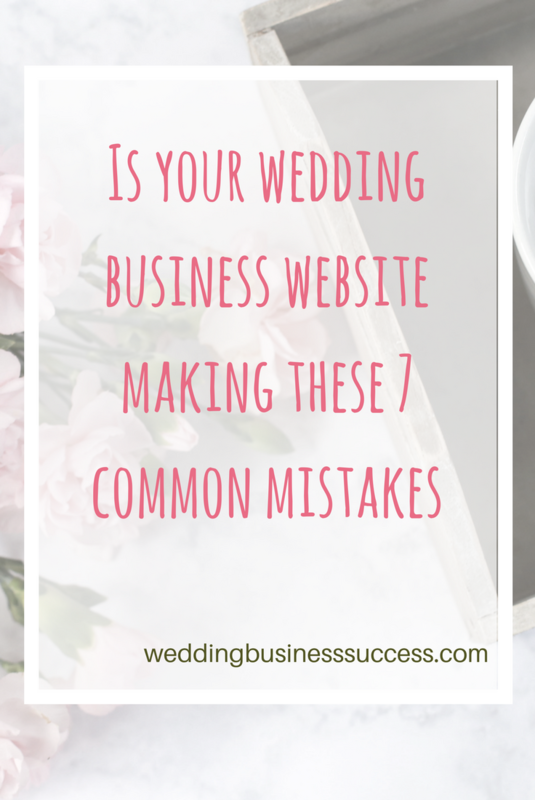 Here’s 7 common mistakes I see on wedding business websites. How does yours check out? Your website should be about what you can do for your clients. But many small businesses fall into the trap of talking about themselves. Look at how often your sentences start with “We” or “I”. Can you change it around and use “You”? You want your potential customers to get in touch with you – right? So why make it difficult? Have your phone number and email address on the top of every page. Not tucked away somewhere obscure. If you have a blog on your website you must keep it updated regularly. That doesn’t mean you need to be blogging every day, but if your last entry was over 3 months ago, visitors may well think you’ve gone out of business. 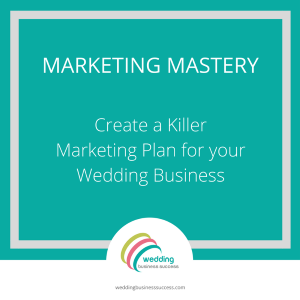 Many wedding businesses like to list the wedding fairs they are attending. Which is fine. What’s not fine is forgetting to update this regularly. Again, some may take it as an indication that you are no longer trading if all the fairs you are attending were last year! The wedding industry is all about fulfilling dreams. You have to make your potential customers really want your product or service. Shoddy photos are not going to entice anyone, but many wedding businesses still feel they can get away with poorly lit and badly composed shots. Good product photography is hard – especially for jewellery, but it’s an essential investment. If you have a high turnover of products, hiring a pro every time may not be an option, but at least get yourself some proper training. It’s amazing how many wedding businesses forget to add basic information to their website. Such as where they are based and the areas they cover. It’s also helpful to have prices (or at least guide prices). It gives potential customers confidence to make an enquiry and know they are not wasting their time and it can help you by filtering out hopeless enquiries. Photographers – remember that however lovely your photos are, potential customers want to know something about you and the service you offer as well! Wedding professionals are constantly reminding brides that DIY isn’t always a good option – but then ignore that advice themselves with DIY websites. The result is usually a poorly designed site with wonky layouts and a mish mash of fonts. The overall impression – unprofessional.